I recently had a small gathering of friends over for a quick cookout consisting of mostly burgers on the grill. One of my friends informed me beforehand that she didn't eat red meat, but that she would be perfectly okay with eating a turkey burger. It would be impossible for me to make the turkey eater eat beef... but I wondered if I could get the beef eaters to eat turkey (since I was trying to keep things simple and cost effective, of course). Well... I managed to pull it off and trick all of my red meat-eating friends, and now you can, too! 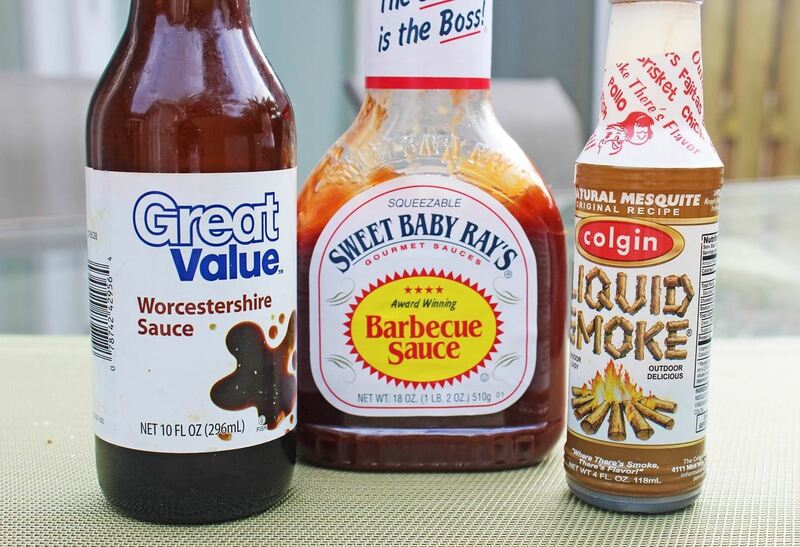 This sauce and seasoning combination will have your turkey patty tasting like an all-American beef burger. It's perfect for people that are either trying to be healthy, avoiding red meat, or both. Best of all, it doesn't sacrifice the taste of a good ol' fashioned hamburger. Selecting Your Ground Turkey: Lean cuts are always healthier; however, I like to use a ratio of no more than 85% lean meat. That 15% of fat gives juiciness of your burger. If you decide to go leaner, keep in mind that less fat means less flavor. In a large bowl, add the ingredients to your ground turkey. Use your hands to mix evenly throughout. The meat mixture may feel a little "wet." That's okay. This should yield 4-5 patties. 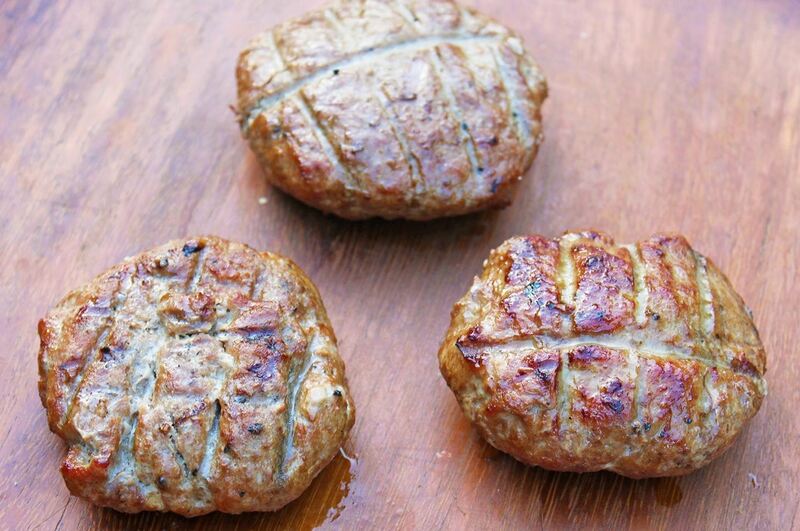 Turkey is leaner than ground beef; when you make your individual patties, don't press them down too flat. Otherwise, they'll dry out as they cook. You can pan-fry your burgers (a good choice during wintertime, unless you have one of these), but I always prefer to the put them on the grill. It cooks your meat more evenly and maintains its juiciness as it cooks through. 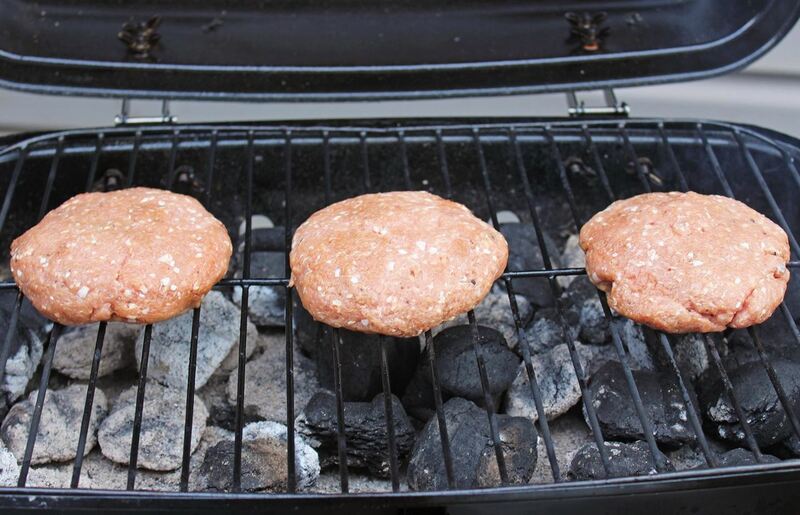 The smokiness of the grill also adds to the "beef burger" flavor. 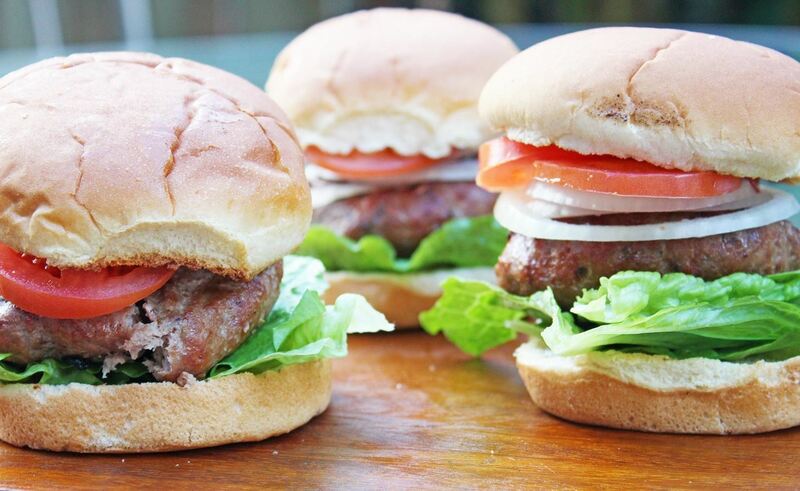 Cook your burgers for 8-10 minutes if frying and 10-12 minutes on the grill. You can flip your burgers a few times, but make sure to leave it an initial 2 to 3 minutes on each side to get a nice char on the outside. Again, don't press your patties with a spatula. It will remove the juices and you'll have a dry burger. Also, remember to cook your meat through. You can go medium to medium rare with ground beef, but turkey needs to be cooked medium well to well done. Once your patties are done cooking, allow your guests to add whatever condiments and toppings they prefer on their burgers. I've added tomatoes, onions, and lettuce on mine, but obviously you can have whatever you'd like. My friends are always shocked when I tell them after they've devoured their burgers that the patties were made with turkey, and I guarantee whomever you serve these to will feel the same way! 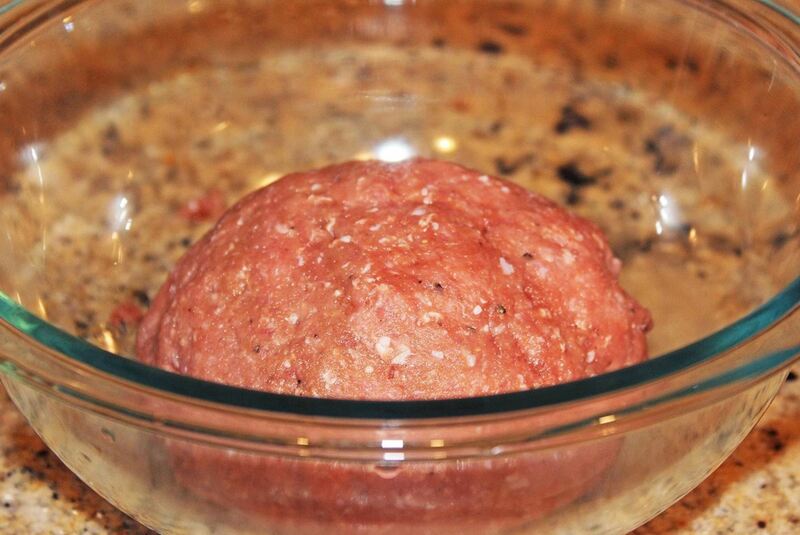 Lastly, this recipe can be used for ground turkey in other applications—for example, with meatballs in spaghetti. Just omit the barbecue sauce and your turkey meatballs will be a hit at the dinner table. Have you tried this recipe and fooled your friends? Let us know how your turkey patties (or meatballs) turn out in the comments!